but we are perfect for each other." Hi, I’m Erica. My wife Anna and I love weddings so much that we got married twice. 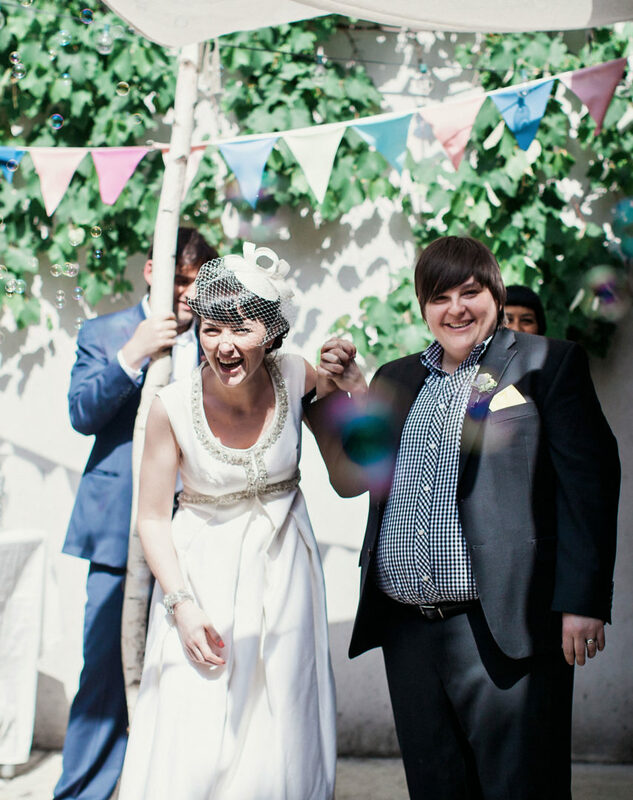 Once in New York, where our friend officiated the ceremony under a homemade chuppah, and then again in a classic London pub, with a cake made by Anna’s sister. In our vows, we affirmed that there is no such thing as perfect, but we are perfect for each other. And most days we still think that’s true. The same things make our worlds go round: road trips, dance movies, intersectional feminism, game nights, queer memes, and building a creative life together, which now centers around raising our two little girls. A New Yorker born and bred, my whole career has been devoted to photography: from college days shooting punk bands to my many years as a Wall Street Journal photo editor. After photographing a few of my friends’ weddings in the late-2000s, I knew making memories for people in love was what I wanted to do full-time. Clean Plate Pictures was born. From the very beginning, Anna was involved behind the scenes. Originally from London, with a background in art history and curation, she started out as a second shooter and today is our studio manager. Over ten years and 400 weddings later, Clean Plate Pictures has grown to include our amazing associate photographers Elle and Tanya. We work out of a yellow studio on our upstate New York property, where we are often interrupted by our young daughters and our really cranky cat. Now tell us your love story. We want to hear all about it!